Whether you’re in the city of Los Angeles or not, we’re the right ones to call. For a complete list of services that we offer, give us a call today at and speak with one of our professional office staff, who will connect you with a reliable technician who can assess and diagnose your situation and provide you with the best solution. All technicians are certified by the state of California to honor and respect your work. Call Los Angeles Handyman now! Your kitchen or bathroom has loose cupboards? Just bought a difficult bed to put together? Bought a Flat Screen TV but don’t know how to mount it to your wall? Want to paint your nursery but don’t want to get dirty? Need to install your child’s crib? 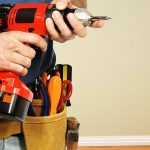 The following are common Handyman services that we’re often called for, and we’ll approach them in depth to clarity for your knowledge. Within our handyman service company, we host several of the most prestigious painters in Los Angeles. As veterans of painter companies, they come complete with finishing, and will apply all standards to guarantee the paint job is done, and won’t need to be done again for decades. We perform all exterior and interior painting, as well as designs. In a home, our handyman technicians often called to put together beds, sofas, tables, chairs, desks and even cabinets. When you purchase these effortlessly cool items to accommodate your needs at home, the instructions they contain may sometimes prove to be more compromising than that of the time you spend using the item themselves. For this, we have both carpenters and handyman technicians who are knowledgeable in the realm of installation and comprehending manuals, so you don’t have to do any of the leg work! We receive as many as a dozen calls for lighting in a day. Our lighting department deals with these services daily, and there is no reason that proves the needs are slowing down. Lighting services that our handyman professionals perform include: Changing hard-to-reach bulbs, installing light fixtures, hanging Christmas lights as well as replacing fluorescent light bulbs. We have access to a series of light bulbs and long bulbs so to match any you may need, we’ll do it! Many home owners and business owners seek the right type of light ambiance by utilizing our recessed lighting installation handyman services within Los Angeles. Whether it’s LED lights, new trim, or even help with installing the housings our handyman services will assist you for the best possible price. If you need help selecting a certain style or fit for your location they are more than glad to shed some light on new ideas. From bathroom doors, exterior doors, gates, screens, windows, showers to garages, we can do it! We offer fixing services for doors of all types, installation for all doors, windows and garages, and we offer lock changes for each. These are not uncommon to perform but most people prefer our handyman to perform their needs, to guarantee that these necessities are done right the first time! Many of our Los Angeles Handyman customers inquire about our television mounting services, but they usually also inquire about our electrical services, and we strive to make sure that all of your needs are completed so that you and your family can be relieved in the comfort of your home. Our handyman techs are equipped with all tools to guarantee that your TV mounting is done safely and securely, so that your walls remain intact and minimizes accidents caused by your TV. With this, we’re also skilled in the art of electrical so all of your wiring will do only to wherever you want them to go. Call and speak to Los Angeles Handyman today! We aim to making sure your needs are addressed and brought to surface so that they can be cleared all at once. Give us a call today, and let us tell you what we can do for you!